Hi everyone! To my U.S. peeps, hope you had a wonderful Thanksgiving! With the holidays underway, I’ve been doing some decorating in addition to new writing. What I love: Wreaths and garland that come pre-lit and cordless. Why I love it: Because I’m lazy and I hate stringing lights through that stuff, not to mention my new puppy still has a chewing issue. He’s already eaten through the cord on a heated throw blanket and an ethernet cable (the throw blanket was unplugged, which was why he’s still here to be mischievous). We’ve sprayed down everything electrical with Bitter Apple but I still worry about him electrocuting himself when we’re out, so anything cordless is high on my Like list this season. Teddy Brunswick knows about the immortals among us. He’s worked with them, called them friend—but he never counted on being snowed in with one over Christmas. Katricia Argeneau is a tasty little bundle and she seems to feel the same way about him. Problem is, he’s not sure she feels quite the same way. After all, the snowstorm has derailed her blood delivery, which leaves him the only available meal on the menu. . . .
To read the first three chapters from Home for the Holidays, go here. In addition to this deal, I just found out that Eternal Kiss of Darkness will be included as one of Amazon’s Kindle Holiday “Big Deal” ebooks. So from December 2nd through December 22nd, you can buy the ebook for only $1.99. This deal is exclusive to Amazon Kindle because they’re the retailer so they’re the one running their holiday promotions. Remember, the discount doesn’t kick in until December 2nd so wait until then to get the savings! But with danger closing in, Mencheres must choose between the woman he craves, or embracing the darkest magic to defeat an enemy bent on his eternal destruction. Read the first 20% here. 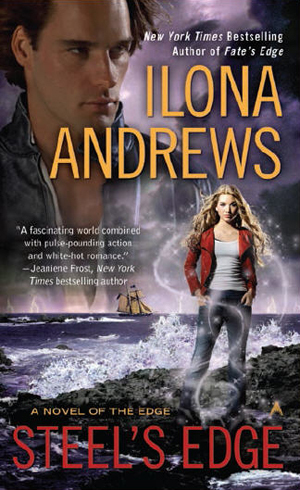 And finally, many of you know that I’m a fan of author Ilona Andrews’ books. She has a new release out this week, STEEL’S EDGE. You are both in my top ten list so thanks for the early Christmas/Birthday presents! Double whammy of goodness! Hope you have a wonderful holiday season! Hey Jeaniene! Do you know if the first book in Ilona Andrews series ‘On The Edge’ is ever going to be available on the Amazon UK Kindle store? I’d like to read it but all we have is a small bookstore nearby that doesn’t stock it. Aaaand! 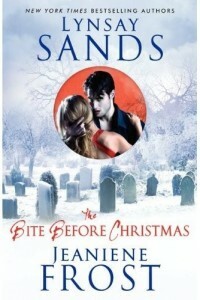 I cant wait for Vlad’s second book 😀 he has always always been my favorite character, closely followed by Bones. just wanted to tell you i love cat and bones and your writing just wonderful and was wondering when you would have another cat and bones book coming out thanks and keep wrinting.